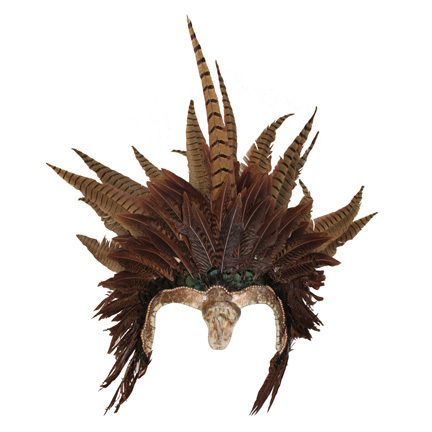 This vintage rattlesnake and feather head dress was worn by singer Rihanna in the 2008 video for her song “Disturbia”. 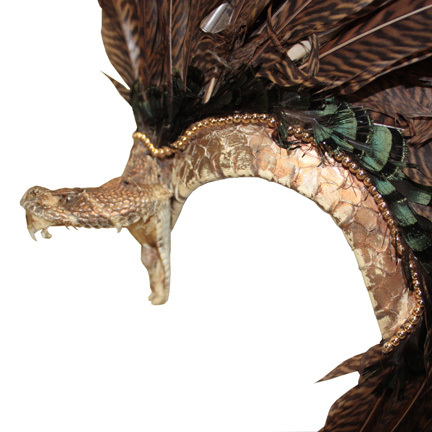 The feathers on the head dress appear to be pheasant, and the forehead of the item is decorated with an actual taxidermy rattlesnake head. 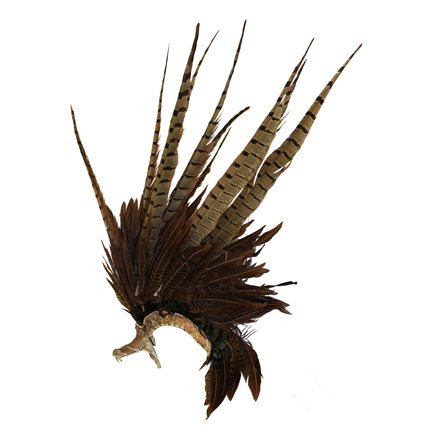 Rihanna wore the item in multiple scenes throughout the video and the accessory is in good screen worn condition with some minor evidence of age and has the original costume house label inside. 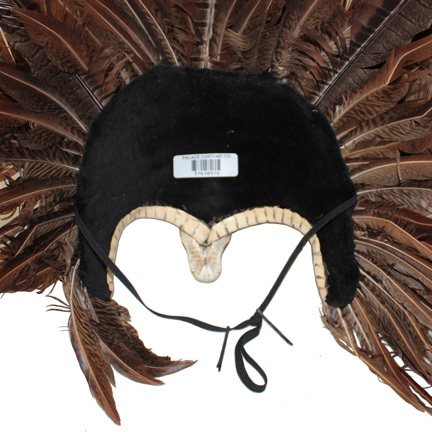 This item was acquired directly from the costume house that supplied the item to the video production and is accompanied by a letter of authenticity. “Disturbia” was one of Rihanna’s more popular songs off of the re-release of her third album “Good Girl Gone Bad: Reloaded” and the song was nominated for “Best Dance Recording” at the 51st Annual Grammy Awards. Presented by The Golden Closet, your premiere source for screen used wardrobe, props, and music entertainment memorabilia.